Can you imagine losing that IF function with the nested AND conditions? 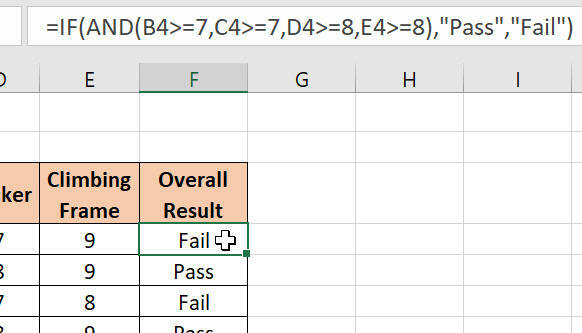 Turn on sheet and workbook protection to make sure that cells F4:F11 can't be accidentally deleted or overtyped, or the whole sheet deleted. You can't change the cell without knowing the password.